TBilly the Homicidal Radioactive Goat from Space!!! Pinkie Pie really is a spy. Agent 001 of PI9 to be precise. Equestria finds itself playing host to a strange new arrival, the arrival in the form of a deranged and coffee mug obsessed robot. She works on a dress. One day, she will complete it. An Ork appeared in Equestria. Will a creature born to war acclimatise? Will Ponyville survive? Not every family is perfect. Scootaloo knows that personally. When Twilight and the others find Pinkie setting up (another) random party, they wonder what the occasion is, especially since the banner says. Pinkie then sits them down and tells them with one of her stories, stories that her friends have come to know and love as crazy, wacky and just impossible. This is the story of how she saved their planet from destruction (without realizing it), from a being who wanted it gone simply for blocking his view of another planet. This… is when Pinkie met Marvin. A silly (not to be taken seriously.) Looney Tunes crossover with Marvin the Martian influenced by one of his cartoons, cover art done by me (Background found on Google images). Marvin is the best and yet the most underused Looney Tunes character personally. 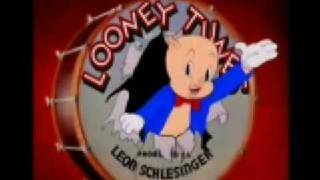 Does he appear more often in the Looney Tunes show? He does appear from time to time but not enough. 2946615 Why is Jerome (or Fluffy) in my recommendations? The concept is good, but the execution would've been a lot better if it wasn't just a retread of the original cartoon short. I mean, some things were different, but it was mostly the source material verbatim. Also, isn't Equestria on Earth? Chancellor Puddinghead mentioned it in the Hearth's Warming Eve pageant. Or was that just Pinkie being silly? 2946874 Oh! after I watch the video ASFJerome's videos kept popping up! 2947012 ooohhhhh... i see , completely unintentional. I thought this was going to be something similar to my Hitchhikers Guide crossover, featuring Marvin the Paranoid Android. Oh well, this still looks awesome! Heh, I heard looney tunes background music the whole time I read this. It really cracked me up. Just a thought but if Pinkie Pie and Bugs Bunny were to get into contest to see who was better at wacky hijinks, and improbable stunts how many of the other looney toons/equestrian baddies/jerks do you think would get caught in the crossfire, and who do you think would win? That was hilarious! I love it! I just imagined Tyr'ahnee picking up the commander from the planed party. I can totally imagine the ponies reenacting scenes from Loony-toons. Pinkie turned round to see a strange bipedal creature walking towards her, or rather shuffling from the look of how rapidly his little legs were moving. The creature had a round black head with two large eyes and no visible mouth and was wearing a helmet that reminded her of one of the royal guards, it had a strange skirt like thing around its waist and was wearing what she assumed was a pair of white sneakers that she had seen some sports ponies wear once. I love you. No homo. Seriously, that is pure win! He sighed and quickly walked out of the building out the back towards a machine that looked like a gumball machine. I can see where this is going, martian birds? He twisted a handle on the machine and three small green seed like things popped out into his hand, he placed them all in a row on the platform before picking up a watering can and pouring water all over them one by one. He watched as one by one, the green seeds grew suddenly into chubby, green bipedal bird like creatures with purple feet. Marvin nodded with satisfaction and pointed his finger he had seen Pinkie go. “I seriously need to invest in better minions." "He took the Dragon Balls." Sorry, bad joke. What I mean is "She took the Illudium PU-36 Explosive Space Modulator mark 2." Daaw, the power of Pinkie's obliviousness for the win. Nah, they just have trouble comprehending a bipedal alien without a mouth.